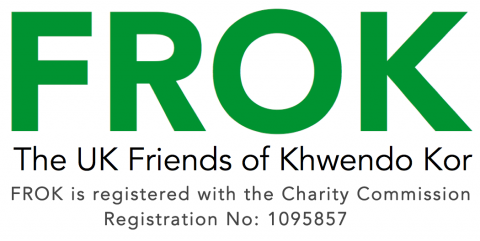 Khwendo Kor (KK) is a non-profit, non-political, non-governmental organisation (NGO). Registered in Peshawar, it works in Khyber-Pakhtunkhwa province and the Federally Administered Tribal Areas (FATA), both located in the northwest along the Pakistan-Afghan border, and with Pashtun communities in Karachi. The main focus of KK’s work is improving the situation of women and girls. They are rarely literate or able to get medical help or resist abuse and they cannot inherit property. Rates of death in childbirth and infant mortality are amongst the highest in the world. Established in 1993 by 5 women including Maryam Bibi, who is now CEO, Khwendo Kor means “Sisters’ Home” in Pasto, a local language. Although at the start KK was very small, with success it has grown rapidly and now employs a staff of over 200. KK works in dangerous areas. FATA is the main base of the Pakistan Taliban and military operations against them have at times displaced hundreds of thousands of people. Despite the difficulties, Khwendo Kor works with local people to provide schools and basic health services. It helps women get the identity cards needed for voting and state benefits as well as enabling them to set up economic activities. In addition, it supports groups of activists, responds to the needs of people displaced by war or natural disaster and works with other NGOs to press for policy change. In 2003, KK set out to establish education for girls and women in FATA. Such was their success that the Taliban issued a “fatwa” against Maryam Bibi and threats to fine villages that collaborated with KK and mine their fields. KK was forced to withdraw for a time though not for long. Since then, more than 1300 girls and 400 boys have enrolled in their schools, and the villages from which they had been expelled have asked them back. The secret of this success lies in Khwendo Kor’s values, their approach and their models. Let’s look at these ingredients and some of their other achievements.